Brother Alois (Alois Löser) was born on June 11th, 1954 in Bavaria, subsequently living in Stuttgart. His parents were born and grew up in the Sudetenland, a region then part of Czechoslovakia. 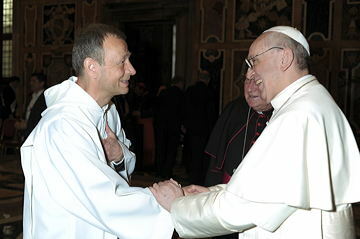 Of German origin, Brother Alois has held French nationality since 1984 and is a Roman Catholic. After several visits to Taizé, beginning in 1970, he stayed for a year as a volunteer in 1973-1974, taking part in the welcome of young people. He entered the community in 1974. He followed the theological and spiritual training programme for new brothers, and made his life commitment on August 6th, 1978. 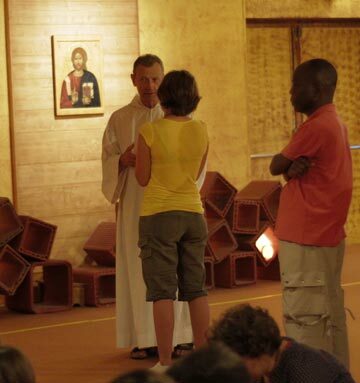 He has lived at Taizé since then. As a brother, he has devoted a lot of time to listening to, and accompanying, young people. Before the fall of the Berlin Wall, Brother Alois made numerous journeys in central Europe, to support the Christians there, then under communist regimes. Over the years, he has co-ordinated the organisation of international meetings at Taizé and the European meetings held in several of the continent’s major cities. Being very interested in music and liturgy, he prepared for publication the new book of the community’s prayer: “Prayer for Each Day”, and he has composed a number of the songs of Taizé. 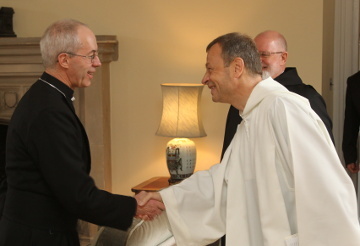 In keeping with the Rule of Taizé, which plans for the prior to designate his successor, Brother Roger indicated his name to a council of the brothers in January 1988. He had already discreetly made the choice since 1978. 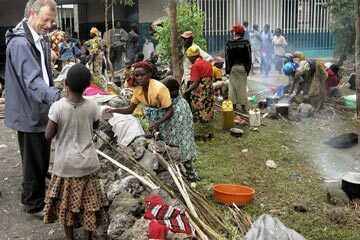 Being tired and very old, Brother Roger announced to the community in January 2005 that Brother Alois would begin his ministry within the next year. 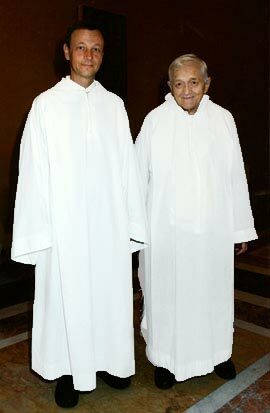 Brother Alois became prior of the community at the death of Brother Roger, on August 16th, 2005. 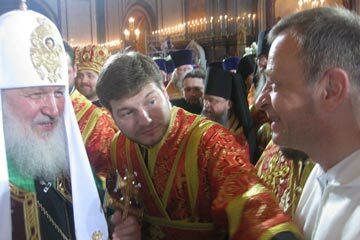 Accompanied by other brothers, Brother Alois regularly visits Church leaders: he was received each year by Pope Benedict; he went several times to meet the Orthodox Patriarchs Bartholomew of Constantinople and Kirill of Moscow; he visited the World Council of Churches, and the Archbishop of Canterbury, head of the Anglican Communion.